Playwright Sonja Kelly and director Cathal Cleary. FURNITURE, SONYA Kelly's smash-hit comedy play of this summer's Galway International Arts Festival, returns next year, for a two night run at the Town Hall Theatre. Druid is bringing Furniture to the Town Hall on April 5 and 6 as part of a nationwide tour. The play is divided into three separate stories - a pretentious, failed, artist, and his long suffering wife at an art exhibition; super fussy Dee who cannot stand her girlfriend's taste in chairs; and an elderly man and his favourite nephew bond over issues of masculinity, sexuality, and the musicals. The play is by turn hilariously funny, and deeply poignant, delighting in the skewering of pretension, and examining our need to possess, hoard, and be in thrall to material things. Furniture is written by Sonya Kelly, directed by Cathal Cleary, and stars Niall Buggy, Kate Kennedy, Garrett Lombard, Ruth McGill, Rory Nolan, and Helen Norton. "I’m delighted Furniture will return as a national tour next year," said Druid artistic director, Garry Hynes. 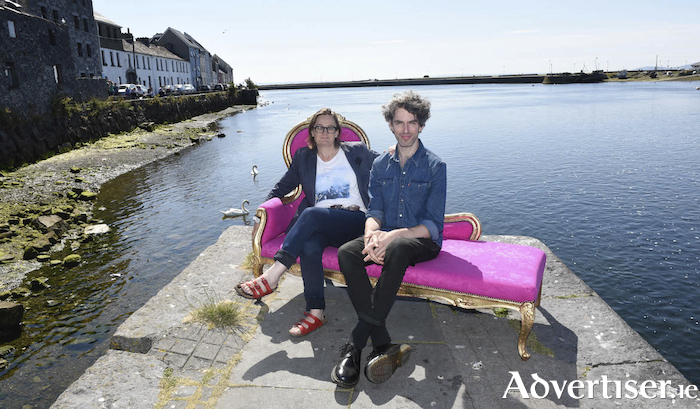 "The huge success of Furniture at the Galway International Arts Festival this year shows that it is an exciting time for new writing and new talent in Ireland and we are glad to be a part of that."